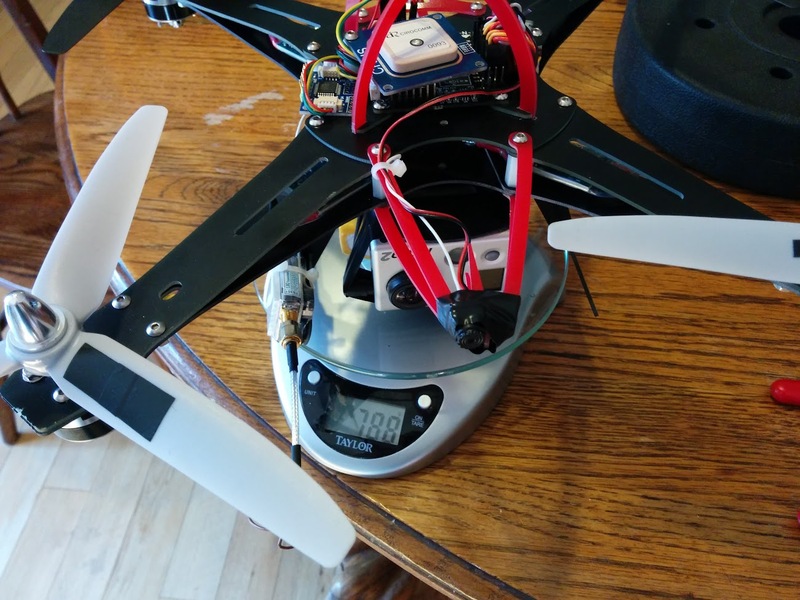 I wanted to graduate to a larger quad, but not something huge, so I decided this 345mm span "mini" quad was the way to go. I liked the size and design of this quad. The "pseudo-airplane" shape on the frame looked more like a shark than an aircraft to me, hence the name. I fly this with my existing OrangeRX T-Six DSM2 transmitter. I run MultiWii 2.3 with some minor modifications on the 32U4 flight controller. 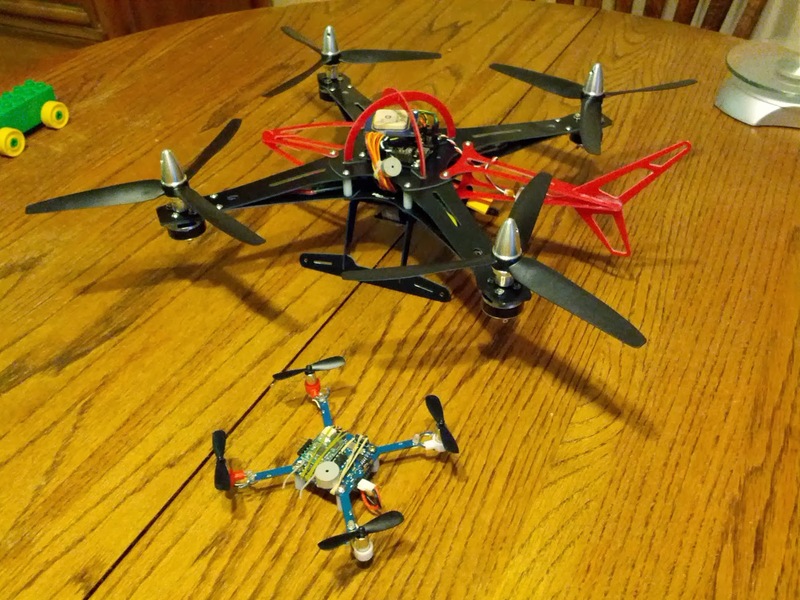 In the process of upgrading the motors to SunnySky motors - but that might require new ESCs. As originally built, this is a pretty amazing and capable quad. It's fast, responsive, and climbs like a bat out of hell. It only took minor tuning to the original MultiWii PID settings to make it fly how I wanted. With the 2200 mAh battery it can fly for 12 minutes in basic "normal" flight, or 6-7 minutes of "aggressive" / aerobatic flight. The fiberglass frame is not very tolerant of crashes. It breaks easily, particularly on the arms just inside from where the motors mount. The fiberglass frame transmits vibration really well, so balancing the motors & props is important. This is why I ended up switching to 2-blade props- they're much easier to balance than 3-blade ones. The Atmega 32U4 microcontroller has some hardware limitations that I eventually ran into with MultiWii. More on that in a subsequent post. The Park300 motors damage easily. I initially tried repairing them with new bearings / shafts, but had about a 25% success rate doing so. A couple of motor failures caused catastrophic crashes. This is why I'm switching to slightly larger motors. I decided that FPV flying is really fun, so I've been doing a lot more of that since.